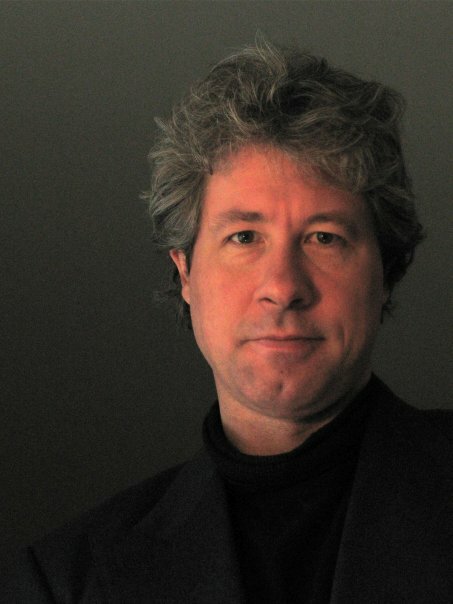 Getting rid of dark matter would be a big ordeal, so we talk to the man behind the theory. The Universe is a strange place. Apart from the normal matter that we see around us, there appears to be a far larger amount of matter that we cannot see—the infamous dark matter. Even more puzzling, the Universe seems to be bathed in a similarly invisible dark energy, which drives the Universe to expand faster and faster. This all points to something missing from our understanding. At the moment, we tend to think that dark matter is something missing from quantum mechanics, a particle that provides dark matter. Dark energy seems to be more gravity related. But it's possible the two are linked. According to Professor Erik Verlinde from the University of Amsterdam, it may be that dark matter does not exist. His work indicates that in a Universe with dark energy (a positive cosmological constant), gravity does not exactly follow general relativity. 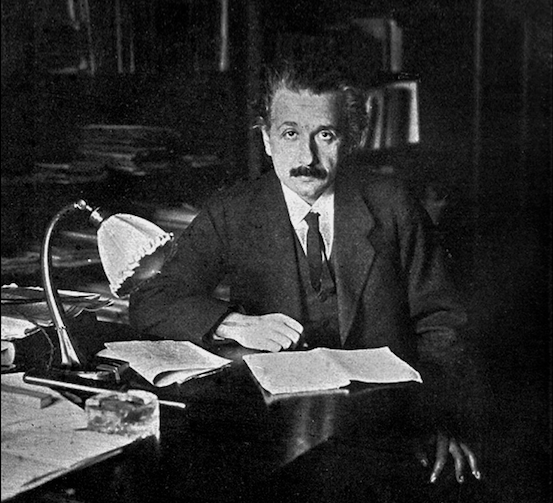 His preliminary calculations indicate that the difference between general relativity and his work may provide forces that we currently ascribe to dark matter. Getting rid of dark matter is a big, headline-grabbing claim, and Verlinde's gotten his share of attention when he's promoted his ideas in the past. But is there really anything to such a seemingly bold idea? 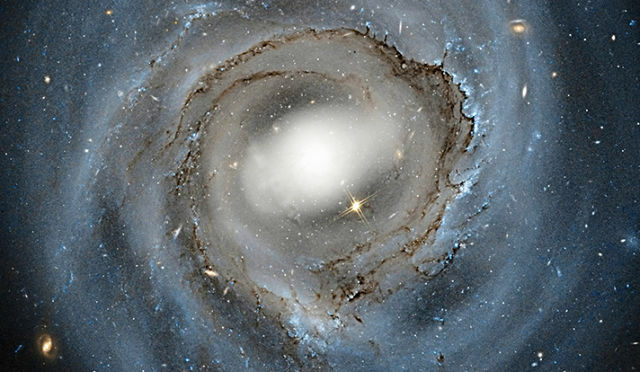 We talked with the dark energy man himself to get a better idea. The evidence that we need something like dark energy and dark matter is quite strong. Based on the observed matter in a galaxy, Newton's law of gravity (the forces are too small to require general relativity) predicts that the speed of stars should drop off further from a galaxy's center. But the speed actually slows to some value and then stays relatively constant as you head towards the galaxy's edges. This can be explained by some amount of additional, unobserved matter. By itself, that would be an anomaly. But the same amount of dark matter is required to explain the Cosmic Microwave Background. The CMB has been measured with exquisite sensitivity. Cosmological models fit the measurements with mindbogglingly high precision—except for one peak in the spectrum, where dark matter has to be added to get a good fit. Since the ratio of dark matter to ordinary matter is the same for the cosmic microwave background and for galaxies (on average), this seems to strengthen the case for dark matter being a particle and not a change in the laws of gravity. Yet we know that, at some level, our current theory of gravity must be wrong. General relativity produces infinities: at the center of a black hole, the curvature of space is infinitely tight, implying that the force of gravity is infinitely high. We don't like that; infinities imply that things are broken. And this is not the only place where gravity doesn't behave quite as expected: the Universe's rate of expansion is accelerating—again, we refer to this as dark energy. The force that drives that acceleration looks like a gravitational force and is easily incorporated into general relativity. But we don't really know the origin of that force, and unexplained forces are not to be tolerated in physics. If we add dark matter to the mix, we can explain the rotation curves of galaxies and the cosmic microwave background. If we add dark energy, we can explain the expansion of the Universe. It may be that the Universe is really like this, with our familiar matter accounting for only four percent of its content. But until we have an explanation for dark matter and dark energy, it will remain unsatisfying. Which is why, even though this general understanding of the Universe works so well, some people are skeptical that the data will continue to support it. Verlinde is clearly one of them. "I want people to search for it [dark matter] as much as they can, because I’m convinced that they won’t find it," he told Ars. "Eventually, if indeed they don't find anything, they may start to think that, maybe, it's something else." When they do, Verlinde is ready offer an alternative, having made something of a name for himself for a seemingly quite different take on gravity. But the differences in Verlinde's views are exaggerated, according to Dr. Sabine Hossenfelder, a research fellow at the Frankfurt Institute for Advanced Studies, "It’s not so far out there," she said. "It’s mostly his interpretation that seems to strike some people as a little odd." If Verlinde is right, then dark matter may actually be due to dark energy. And if Hossenfelder is right, dark energy could be a natural consequence of Verlinde's theory. So, how does Verlinde's approach to gravity work—and what makes other theorists think it's so different? Recognize this guy? Yeah, he's involved here, too. One of the key differences between Verlinde's approach and that of others is the space in which he works. Our Universe is expanding, and that expansion is accelerating. This is called de Sitter space, and it comes with a positive cosmological constant driving the acceleration. But it's easier to do the mathematics in a Universe with a slowing rate of expansion and a negative cosmological constant (called anti-de Sitter space). There are many good reasons for abandoning the Universe as we observe it for this play Universe. Among them is that the play Universe is surrounded by a horizon, and there is a relationship between the space contained within the horizon and the area of its surface. This is called the anti-de Sitter space/conformal field theory (AdS/CFT) correspondence. It basically says that the gravitational theory in the volume maps to the quantum theory on the boundary, so quantum properties, like entropy and temperature, can be obtained by solving gravitational equations in the volume. This is generally easier than the quantum theories that must be solved on the horizon. This is a really cool trick and has inspired Verlinde to look for other horizons. Black holes showed some similarities. The entropy we measure on a black hole's event horizon—a measure of the number of ways in which a system can be configured and still have the same energy—is determined by the gravitational equations inside the horizon. Even better, like in anti-de Sitter space, the entropy grows in proportion to the area of the horizon. While a black hole horizon does not follow the AdS/CFT correspondence as theoretical physicists know it, it's... well, Verlinde thinks there is something to be gained from exploring the similarities. Scientists had also found another horizon in our own Universe: the cosmological horizon. If you look out from the Earth, objects that are further away are expanding away from us faster than those that are close, as the space in between is expanding. At some distance, space ends up expanding as fast as the speed of light, so nothing reaches us from that distance or beyond. This distance is the cosmological horizon. And, according to Verlinde, the entropy on this horizon is also given by the same area law that applies to black holes and anti-de Sitter space. In these explorations, Verlinde also rediscovered a trick. You can reverse the reasoning above. You can use the thermodynamics (entropy) of the horizon to obtain Einstein's general relativity for the volume contained by the horizon. This is called this emergent gravity. According to Hossenfelder, emergent gravity by itself isn't especially useful. "In the end, we already know general relativity, so you can say 'well what’s the point?' What is the point in showing that [general relativity] can be re-expressed as a different theory? It’s still the same outcome," she said. "Maybe it's a different way to calculate things. That’s nice, but not really insightful." While this re-casting of Einstein's equations as a consequence of thermodynamics isn't useful on its own, it is the foundation on which the rest of Verlinde's work is based. This is where Verlinde draws inspiration from quantum information theory. The area law—entropy scales with the area of the horizon—also applies in solid state physics. In solid state physics, if you want to measure the entropy of a sphere containing atoms or molecules, you can obtain it from the properties of the area of the containing sphere (at least in principle). But there is a caveat: this is only true for certain types of material that are in their lowest energetic state. To Verlinde, it seems a reasonable intuitive jump that anti-de Sitter space, with a negative cosmological constant, is a Universe is in its lowest energy state. In that case, all the entropy of quantum entanglement will be given by the area of the sphere containing it. Our Universe, Verlinde says, with its positive cosmological constant, just might mean we're in an excited state. In which case, the entropy has two contributions: one from the area of the horizon, and one from the volume contained within the horizon. Now, when you perform the trick of deriving Einstein's equations from the thermodynamics of the space, you don't quite get Einstein's equations. Instead you get general relativity plus an additional term—this additional term, Verlinde claims, may replace dark matter. Hossenfelder described Verlinde's arguments: "This additional contribution to the entropy acts like some kind of medium that is affected by the presence of matter in such a way that it pushes in on the matter. And that has an effect similar to dark matter. So there isn’t any dark matter, it just looks this way because space-time kind of pushes in on the normal matter." Verlinde found his own results troubling. "One thing that I don’t understand about this," Verlinde said, "is [quantum] fluctuations, they are random and they can go in all directions. So, why would they create some coherent force when you put them all together?" To answer this, Verlinde returned to the literature on solid state physics, and, seemingly, found an answer in materials like glass. Glass, at any instant in time, looks kind-of-sort-of crystalline. But over very long time time-scales, it flows. Even stranger, when you heat it up, it can become rather fluid locally, but it still flows at long time scales like the cooler glass. The idea is that the very short-range behavior is still random, and fluctuates about some local equilibrium. Over large distances and time scales, however, the glass slowly relaxes towards some global equilibrium. And this is exactly what Verlinde proposes for space in his theory: that there are correlations (entanglement) within the volume that are long range and have long relaxation times. These long range contributions are the volume contribution to the entropy. The short range correlations are exactly those that contribute to the area law. Between the two, you get general relativity, plus the additional dark-matter-like term. The gravity that emerges from Verlinde's work can also be reduced to Newtonian gravity with an additional term. You may have heard of something like this before under the term modified Newtonian dynamics (MOND). But Verlinde hastens to point out that his work is not MOND. MOND was developed by a scientist called Milgrom. Milgrom noted that galactic rotation curves all seemed to have a similar feature: the deviation from Newton's laws occurred at a similar acceleration (in other words, at the distance where the force of gravity within a galaxy drops below some critical value). He used that to come up with a formula that would fit rotation curves, even though he couldn't explain a physical origin for the extra terms in his equation. MOND has hung around on the fringes for a long time, but it has not been well accepted because no one really knows why the additional term should be added. What Verlinde proposes is not MOND, because it has physical reasoning behind its modifications. And, importantly, there are no free parameters to fit to experimental data. It either works or it doesn't. Verlinde makes some assumptions we know don't apply, like spherical symmetry—spiral galaxies are disks, not spheres. That is what makes Verlinde's work interesting. He has started from some very general principles and, with some limiting assumptions, derived a theory of gravity that can be used to calculate the rotational curves of galaxies. Unfortunately, experimentalists tried this and were not so impressed with the result. In a recent arXiv manuscript, a group of scientists compared the predictions of Verlinde's theory, which has no free parameters, to a classical version of MOND, which does have free parameters. They show that MOND fits better than Verlinde's theory. This is hardly surprising, given that Verlinde has obtained these equations under a number of assumptions. Some of those, like spherical symmetry, we know don't apply—spiral galaxies are disks, not spheres. The same team also mistakenly tried to fit Verlinde's theory to certain types of planetary precession in the Solar System. This, both Verlinde and Hossenfelder agree, is a mistake. The biggest assumption that Verlinde makes is that the force of gravity should be weak: about what you expect in galaxies, but not in Solar Systems or near black holes. "So this constraint that he has there is, loosely speaking, in regimes of small average energy density," says Hossenfelder. "It means, in particular, that you cannot apply this equation in the Solar System." As for the fit to the rotation curves, Verlinde is just happy that other scientists are taking the idea seriously enough to test it. "As you hopefully realize, most of the paper is about the conceptual reason for why gravity works differently," he said. "I do not claim that the formulas I have derived already have the general applicability to be compared to precision data. So the fact that people are already comparing it, and it seems to fit rather well. It’s already pretty good." Hossenfelder has taken an active interest in Verlinde's approach. Unfortunately, Verlinde's approach to deriving his results does not follow the standard path taken by most theoretical physicists. Because of the unusual method and interpretation, Hossenfelder suspected that there might be some internal inconsistencies in Verlinde's work. Thus, she ignored the interpretation and concentrated on re-deriving the key results using a more standard approach. In her approach, she first defines a Lagrangian, which can be thought of as a function that tracks the energy. From the Lagrangian, it is possible to obtain equations of motion, forces, and fields. Hossenfelder used this approach, plus a more rigorous take on the mathematics, to obtain Verlinde's equations. In technical terms: Verlinde uses partial derivatives, while Hossenfelder uses covariant derivatives. The equations that Hossenfelder obtains are not exactly Verlinde's equations; she ended up with one additional free parameter. "You could say that it is just a constant, but this constant, there is no reason why it should be universal for all galaxies, so, if you make these fits [to galaxy rotation curves], you would have to treat it as an additional free parameter." This, according to Hossenfelder, is an additional reason why it is premature to conclude that Verlinde's work doesn't agree with experimental data. The big surprise, though, is that Hossenfelder obtains a term that looks like a cosmological constant. "You find that you get a term that behaves like the cosmological constant. So, in contrast to what Verlinde did in his papers, you do not have to assume the cosmological constant to begin with, you get it for free." This is exciting, because in Verlinde's work, the cosmological constant was assumed from the start and then produces a dark matter replacement through the way gravity works. But with this extension, it might turn out that the connection is deeper. Both Verlinde and Hossenfelder are hoping that more theorists (and experimentalists) take the work more seriously. Verlinde feels that it is time for more contributions and ideas from outside so that development will proceed faster and with a greater chance of success. To that end, he is planning to return to anti-de Sitter space. Verlinde suspects that if he can add the excited state into a calculation in anti-de Sitter space, then he can redo his calculations in a way that is more familiar to other theorists. He also wants to make the link between AdS/CFT correspondence and his work in de Sitter space more precise and rigorous. He hopes that will go some way to persuading other theorists to take a second look at his work. Verlinde is also well aware that dark matter explains more than just the rotation curves of galaxies. In the end, his work also has to show an identical contribution to the cosmic microwave background, galaxy clusters, and more. Although he has plans to see if cosmic microwave background contributions can be calculated, there are only so many hours in the day. Finally, there is the issue of interpretation. Verlinde talks of empty space as if it were matter. And matter comes with properties like compressibility and elasticity, which are not so familiar to theorists. My impression from the paper and my discussion with him is that these are not analogies, and this interpretation makes theorists uncomfortable. But Hossenfelder says it's not a serious issue. "It’s a communication problem," she told Ars. "People who work in astrophysics, cosmology, and even particle physics, they don’t know anything about elastic media and this kind of stuff. I had to look this up... but I kind of figured it out. I was also happy that, in the end, I could ignore it." Hossenfelder is quite confident that Verlinde's work will receive more attention in the coming year. That's likely; Verlinde and Hossenfelder both have recent papers, and we've seen the first attempts to fit data to the model. All of that is likely to generate serious interest. Verlinde's work should not be interpreted in a vacuum. He has not come up with ideas about gravity and quantum mechanics from nowhere. Most of his work has been to make connections between seemingly disparate ideas, and we're not fully sure of the consequences yet. At the moment, neither Verlinde nor anyone else can say whether gravity as a consequence of entropy will explain dark matter, or if it will even explain anything at all. To do that, two things have to happen: his equations need to be more carefully connected to pre-existing ideas, and the equations need to be solved under more realistic scenarios so that a wider range of comparisons with observational data can be made. Regardless of how that turns out, new ideas are the fuel that drive the mills of science. So no matter how you view him, Verlinde has certainly contributed.